An outdoor living space is the ultimate bonus room. Not only do you have a ton of flexibility to make it as unique as you want without the confines of a floor plan, but it’s also unlike any other room in the house. 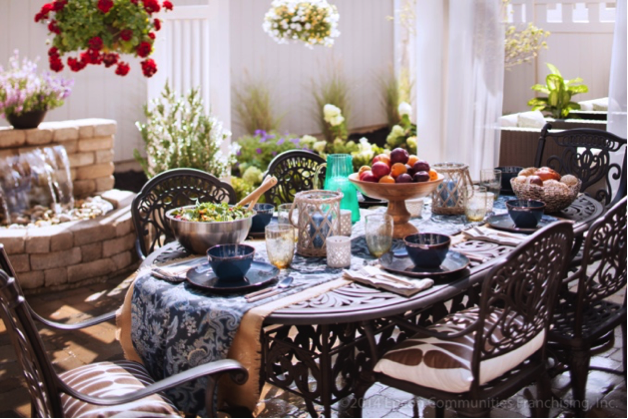 Enjoying a cozy, yet functional outdoor space goes without saying, but did you know there are a lot of benefits to cooking and entertaining outside too? With the prime grilling and cookout season upon us, it’s time you found out! Host without Cleaning Up The worst part about hosting friends and family: cleaning the house just to have it get dirty again. But outside, a fresh table cloth and some disposable plates and utensils are all you need! 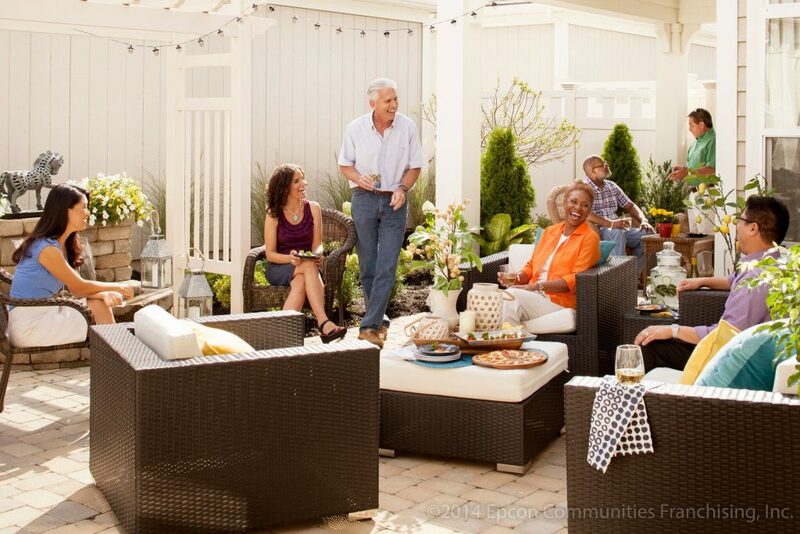 Your backyard and our outdoor spaces at a Cornerstone community create the perfect backdrop any work from you, while no pots and pans make post-clean up a breeze! 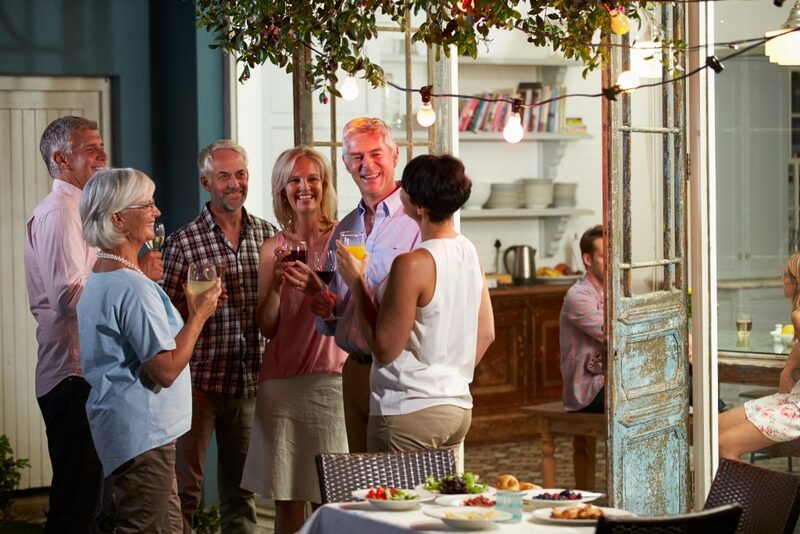 Host a Larger Crowd Even with a spacious open concept, entertaining indoors can be limiting as to how many people can fit comfortably or the space you need for food. 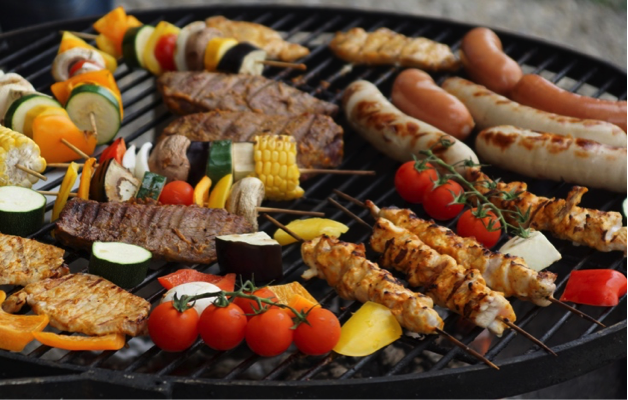 People are less likely to be sitting when they’re outside anyway, as they gather around the grill snacking on finger foods. So, you won’t need as many seats! Grilling is Quick and Healthy Customizing meals for picky eaters is so much easier on the grill. You can even ask people to bring their own favorite meat or grilled veggie to throw on! If you’re limited for time during the week, burgers, veggies and other meats are quickly prepared on the grill top. Did we mention the health benefits of grilled meals? You consume less fat because the excess drips off the grates, while grilled vegetables and meats retain more vitamins and minerals. Win, win! 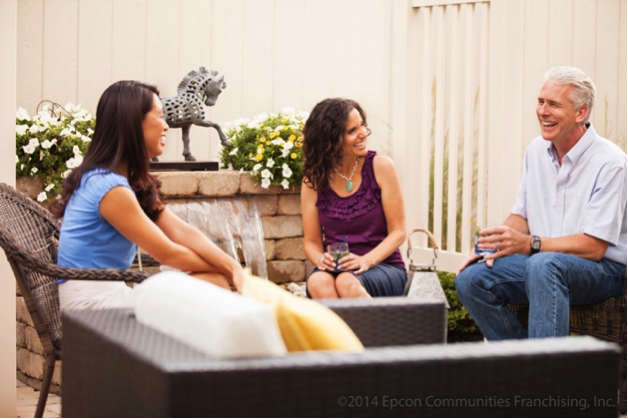 At our community clubhouses, outdoor grilling areas are THE summertime hub! Regular Meals Feel More Special Eating outside is more stimulating than the usual indoor routine. Preparing dinner outside becomes a social activity! Instead of being holed up in the kitchen, you can chat with friends and loved ones while they help with side dishes and place settings. Keep Your House Cool Turning on the oven during the hottest days of summer is probably the last thing you want to do, and the enduring heat that fills your kitchen afterward is equally as uncomfortable. You’ll spend less on utility bills 1. By not turning on energy zapping kitchen appliances and 2. By not running the AC to combat the kitchen heat. One more added bonus: no lingering odors! There are Health Benefits! Studies suggest that eating outside actually makes food taste better! The fresh air lowers your stress hormones and blood pressure, so you’re more relaxed, and even focused. When you’re stressed, you’re not paying attention to your meal and don’t enjoy it as much. Being outside is a natural mood booster. You can also get your necessary dose of Vitamin D with just 10-15 min in the sun a couple of days a week. It’s the perfect excuse to grill out! 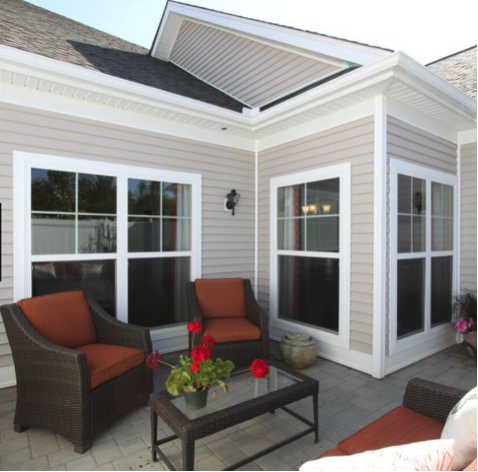 When you live in a Cornerstone Homes community, there are plenty of opportunities to eat, cook, and entertain outside. Take advantage of our outdoor amenities and these amazing benefits when you move into your new home at one of our communities!